The literal “House” that is formed by the ten-square miles inside Washington D.C. is a total contradiction in terms, in every way. First, of course it is not a literal “House”. It is an artificial-construct that was designed and built to house a massively illegal corporation which actually runs this place. What it officially “houses” are all the original documents which supposedly make their illegal-takeover of this nation ­ “legal”. The name of it is “The United States”. That’s the official name of the Corporation that stole The United States Of America from the people and gave us to “The Crown” while we thought that this place had belonged to us. What you might not know is that all the “states” of the United States no longer exist as “STATES” ­ they are all on file as pieces of paper, that are owned by the United States. The landmass which they once described as far as “laws” are concerned, no longer exists. All the land in this country is now owned by the United States. There is officially no private property in the old USA, because all of that land is OWNED by the United States and not by anyone who has been deluded into thinking that the land they supposedly own today, actually belongs to them, as private people. The fake-corporation that has taken control over all our land, and all our property is the same foreign-corporation that owns all our money; yet most Amerikans refuse to recognize this fact. What is perhaps even more amazing is that the fruits of your labor, your thoughts and your actions all belong to this illegally-constructed corporation. All of that has been the case, from very early on, but literally every aspect of this takeover has been in place since at least 1938. In 1938 all the Laws were officially ended by a single court decision. The United States became a private for-profit foreign corporation only. That makes most of the people alive today into total-slaves who remain unaware of their current circumstances. “The United States” is a for-profit private and foreign-corporation that is run the same way that every corporation is run. The difference is that what they own and control are whole civilizations around the planet. The “president” is the acting Chairman of the Board. The congress composes the Acting Board of Directors, and neither of them have anything whatsoever to do with “representing” any of the people inside this country. The only people whose votes even count here are the members of the Board of Directors; everything else is just background noise. The so-called Supreme Court is an artificial ornament meant to prop up the continuing façade that this country still has (a) A Constitution, (b) a Legislative Body and (c) a Supreme Court. “The United States no longer has any of those three component parts as described in the organic Constitution. “We” no longer have any laws either. What The United States issues are Corporate Directives. Corporate “policies” are issued instead of laws. These directives must be obeyed as they are and will be enforced with FORCE, which is why demonstrators are treated as if they are Public-Enemies. “We” are public enemies in that we are resisting the supposed powers who say that they are the power which we must serve at all times: Without Question! That’s why the CEO authorized the purchase of millions of bullets to insure that this bogus criminal “government” can remain in control—even though the public has almost no idea of what’s really going on. This is also why no one in government ever explains why anything is done here: From “not getting the help we need to survive, all the way to every policy decision that flies in the face of whatever the public is overwhelmingly either in favor of, or opposed to. This explains why government always votes against whatever the public wants, and for whatever the general public vehemently objects to. And since the government wants this place to collapse, sooner rather than later, that explains why the we keep on starting “wars, wars and lots more wars”, even though we cannot afford the one’s we’ve already committed ourselves to. Have you not wondered why we have so much military in virtually every other nation in the world today? That’s simple! It’s because we are the warmonger contingent of the New World Order and “we” are responsible for policing the entire world on behalf of the New World Order—whether the slave-population agrees with this task or not! Why do Amerikans not even notice that this “government” pays no attention to any of the crimes they commit against the public in the hundreds of thousands, yet nothing at all is ever done about anything? What happened to “going-to-jail” in Amerika? We are routinely told that all of the millions of new agents are being hired to protect us from crime, criminals and terrorists. All three of those categories are inclusive of all the agencies we finance, through the New World Order: While real and ordinary everyday-crimes are no-longer even prosecuted. Ironically the enabling factor was “Our Consent” that was stolen from us and granted to them, in simple ways which they have interpreted via their own special private interpretations of ordinary words that no longer mean what we thought those worlds meant, whenever they are used in the types of illegal-contracts which were constructed to deceive in order to justify their totally illegal takeover of this once proud place. “What they call “Full Disclosure” which of course they have never done, when it comes to getting our compliance to any of their filthy-designs. “Consideration” which is also a totally skewed concept when the entire purpose behind this mis-labeled aspect is to falsely seize that which they could never have unless each victim “Consents to what is done, after receiving, and signing, “Full Disclosure Agreements”, that are never provided ­ and then after “Consideration” which is never officially mentioned or required: Then and only then are those of us who were victimized by this massive-crime informed, indirectly, that we are just fictitious-persons, Orphans really, in a state that we already owe millions to from the day each of us is born. Here’s some of what we can do about it. This begins by “Withdrawing Consent”. We must begin to cut existing-ties. We must Revoke Voter-Registration along with all private for-profit murder-machines and any activity endorsed by the United Nations. 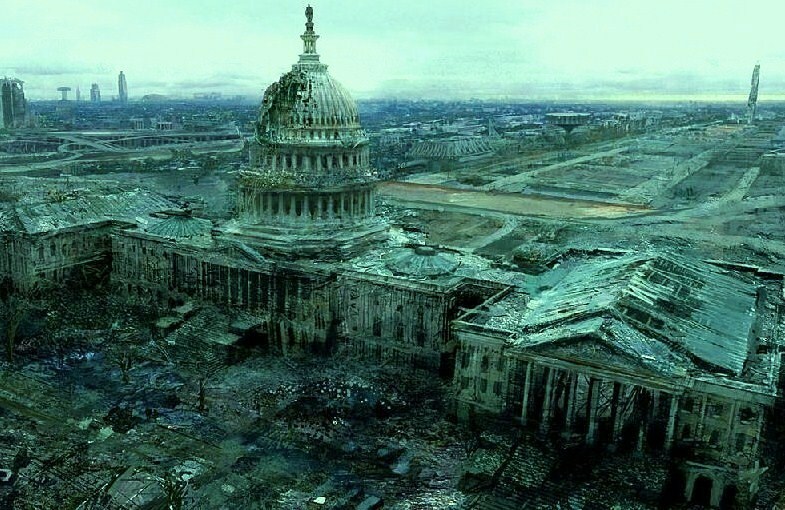 The problem with this entire shakedown is that government has “no skin in this game”: While we have literally everything from our lives, our fortunes and our sacred honor, along with our blood, sweat and tears which are fully committed to defeating their blackmail of this hidden-slaughter that was designed to steal everything of any value in the world today. So that nothing remains of that place except gravel.